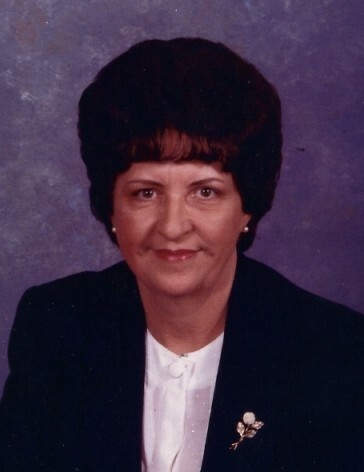 Mrs. Estalene Hall Autry, 91 of Autryville, passed away Tuesday, January 29, 2019 at her home. The funeral service will be held at 1:00pm Saturday, February 2, at Butler Funeral Home, 401 W. Roseboro Street, Roseboro, with Reverend Nick Smith officiating. Burial will follow at T.J. Hall Cemetery. She was born December 16, 1927 in Sampson County and was the daughter of Lorenza Dow and Mittie Arlie Fisher Hall. She was preceded in death by her parents; husband, Kermit Wade Autry; daughter-in-law, Barbara Autry; son-in-law, Richard G. Sisko; and seven brothers, Jessie, Willard, Lewis Allen, Clarence, Curtis, Jennings, and Earl Hall. She worked as an Accountant and was a member of the North Carolina Society of Accountants. She was also a member of Long Branch Baptist Church. A matriarch in every sense of the word, Estalene was a devoted mother, exuberant grandmother, loving aunt, and best friend and confidant to all who knew her. She was witty, accomplished, and giving to a fault. There are not enough words to do her and her legacy justice. She simply was one of the most amazing women of her generation, and the world is less bright now that she is gone. She is survived by one daughter, Gloria Dean Autry of Stedman; one son, Dale Autry of Autryville; two grandchildren, Kimberly J. Ward (husband, Jeffrey T. Ward) and Richard Bryan Sisko (wife, Catherine Torres); and two great grandchildren, Carmen Sisko, and Gloria Sisko. The family will receive friends from 6:00 to 8:00pm Friday evening at Butler Funeral Home and other times at the home.